Welcome back to another episode. Today, we're going to be talking about some really cool things. All right. I hope you're ready for today's episode because we're going to go deep on understanding how reality works. What we're going to do is we're going to understand that reality itself is a mirror. And if we want to change the mere of reality, we must first off go within and change the way we relate to ourselves because everything in our life is a reflection of what we believe to be true and is also a reflection of how we see ourselves, how we are, how we late to the external world, and then when we changed that, we change everything. First off, I want to thank you for being here. You know, I do daily YouTube videos. I do twice a day on Instagram. I'm doing my best to stay up to two times a week on podcasts. I want to start having more conversational type podcasts as well. Just kind of like a side note. I think it'd be cool to bring people on. It's just that I'm so busy. It's hard. I don't know. Maybe that's a belief. You see. Sometimes I catch myself in my own belief patterns. I'm like, oh, it's hard to do this. It's hard to that. Why? Why did it have to be? But at the same time, I'm going through this thing right now where I'm realizing that it might be good for me to take like maybe a day off a week or something, you know, not, not from. Not like I don't post at all for a day because of I still, I'm like far ahead on videos and stuff. Videos will still come out. Instagram videos can still come out, but I mean like have a day to where like I don't do anything where I just relaxed and I have spaciousness within me and I just like meditating on grass all day and I just, I don't know, something like that. I haven't, I've been, it's funny because I've been full time doing my passion now for about a year and a half. And I don't think I've had one day off. I mean, I've even gone on vacation. I still make a video a day. I still do a lot on social media just because it's kind of my job, you know? And I love doing it. It's like I'd rationalized of do I do, but at the same time, I'm realizing that I just get messages from some people that are like, hey, you know, maybe be good if you just like, took a day off and just relaxed, you know. Last week I got a massage. I used to do a lot for myself too. I used to go to like sensory deprivation tanks which is like where you go into this tank, it's like the size of a small car and you're just floating around. Then it's like there's the water's the same temperature as your blood and there's no sound in there so it like deprives all your senses. You couldn't really deep levels of meditation. I haven't done that in a year. I used to do Bikram Yoga every single week, like no matter what, but I have, I don't do that as often. I still do yoga, my house every day, but I don't actually go because 90 minutes is a long time for me to be away from my doing, doing my work. But I go to the gym every day which is like my getaway. But yeah, I need it anyways. I know I'm venting to you right now. But also, just so you know, a little bit about what it's like behind the scenes. You know, I'm finding the more I go within myself, maybe the more space that I create, the more creative ideas will come. I just have such an output of energy. I'm always doing. I'm always doing what I'm passionate about. I wake up every morning, literally excited to wake up. I'm not trying to brag if you're like, oh, you get up and you don't enjoy what you're doing, but this is what's possible for you just to follow your passion, follow your heart, understand it as cliché as that sounds. It's really true because when you do what you're meant to be doing in life, the universe gives you support back. And then you start to live in abundance, especially when you're doing it with a higher purpose. Many people I see on social media or a, there's defined, they're not growing with what they want with their business or whatever it is. It's because they're not connected to that higher purpose. Understanding if it, if it benefits the whole, it's more like the whole is going to work out for you and the hole is going to help you. Like the universe will support you if you are helping support the universe. The more that I focus on that, the more things, the more things tend to work out, the more than I care about the people that listened to my videos and I care about my subscribers and the people that follow me, the more that I find they care about me. It's all a reflection. It's all a reflection. There really is no out there at a deeper fundamental level. We're all one consciousness. We're all kind of going around imagine it like we are like imagine there are cells in our body which there are cells in our body by the way, but the imagined cells inside of our body and there might be some blood cells in your arm and the might be looking at your left arm to your right arm and there might be blood cells over here that there was a blood cell over here. There are blood cells on both sides and where they may see themselves having different experiences, they might. One might be having some experience with their family members as blood cells. I don't know what they talk about. I don't know what they do, but on one hand, literally on one hand they might be having a certain type of situation or experiencing something. On the other hand, it might be completely different, but they're still part of the same body in the same way. We're all having our individual little experiences, but the mother, Gaia, the planet itself, herself, whatever we want to call, you know the planet is having an experience and we are the sales of Gaia. We are the blood cells, the white blood cells. The cancer is blood cells, the different types of blood cells. There's all of us are here, some are a little bit, you know, some might be more of the protector ones, the ones that want to help the planet of all one. Some might be the cancers, blood cells, the people that maybe try to control everything and maybe have more negative intentions, but we're all part of the same consciousness. The key is understanding that in the more negative emotion we have towards the people that are controlling things is the more resistance we build. And then also the more we reaffirmed that reality that they are in. The key is to become at peace with it all and understand that we may not choose it and if we don't choose it, we can shift our focus. The more we focus on it and the more we resist it, the more we create it. In general, what I'm doing right here is I'm just trying to show you a couple of new perspectives that when you see it kind of shifts the perspective of reality a little bit because then we take it out of the limited focus of us and we bring it to reality itself because reality is what we believe it to be. And what I think is happening right now on the planet is I think that there's this shift in consciousness that's happening. It's happening with some people at first and not everyone, maybe not everyone is going through this shift in awareness right now. Some people are on their own path, but in general there's this awakening that is happening or more and more people are becoming aware of who they are. They're becoming aware that they are not just the ego structure like this physical body that I can see these looking at my hands right now. This appears very real. I can clap my hands and it feels real, but the thing is there's an energy field that goes far beyond my body and in the same way you have an energy field that goes far beyond your body and we're all connected. And when we see that, we can then see that the things we experienced in our life are that of which we identify with and if we identify with only the body, we will continue to create experiences that are equal to that identification, but understand that we're much more than that and right now on the planet, what's happening is people are becoming aware of that. Some people are going through a spiritual awakening. There are more and more of this information coming out. When I first started even two years ago on YouTube, my content was very esoteric, or it was also. It was also just whether there wasn't a lot of it. There's more and more information coming out there is becoming more and more and aware of it, so the idea is that I believe one of the main reasons we're here right now on the planet is to go through this transformation of consciousness. It's not looking like there's a shift in consciousness is happening, but what happened? What is happening is more and more people are becoming aware of it. One of the people are watching the news go, why the hell am I watching this? Why is this all negative? One or more people are watching saying, you know, I think that's controlled by the corporations, the last US president of this election. They're like, oh look, they. They were. They were looking at the way things are random, like, oh, it's all ran by corporations and this and that, or whatever it is. More awareness is being brought through than ever before because of the awareness that it's happening, what's happening on the planet now in general, we think of reality as one reality. There's one percent perception of reality, the way things are, but in actuality, there are 7 billion people on the planet. Therefore, there are 7 billion different points of perception of reality. Every one of them and every one of us is having a separate totally unique experience based on our beliefs, our perceptions, how we relate to the world, so the power in knowing this is knowing that there is not one universal truth of reality. There are seven plus billion different points of reality. Let me point out this too. Why do you think there are 7 billion people here on the planet right now? Is it just because we're all reproducing at such a fast rate? 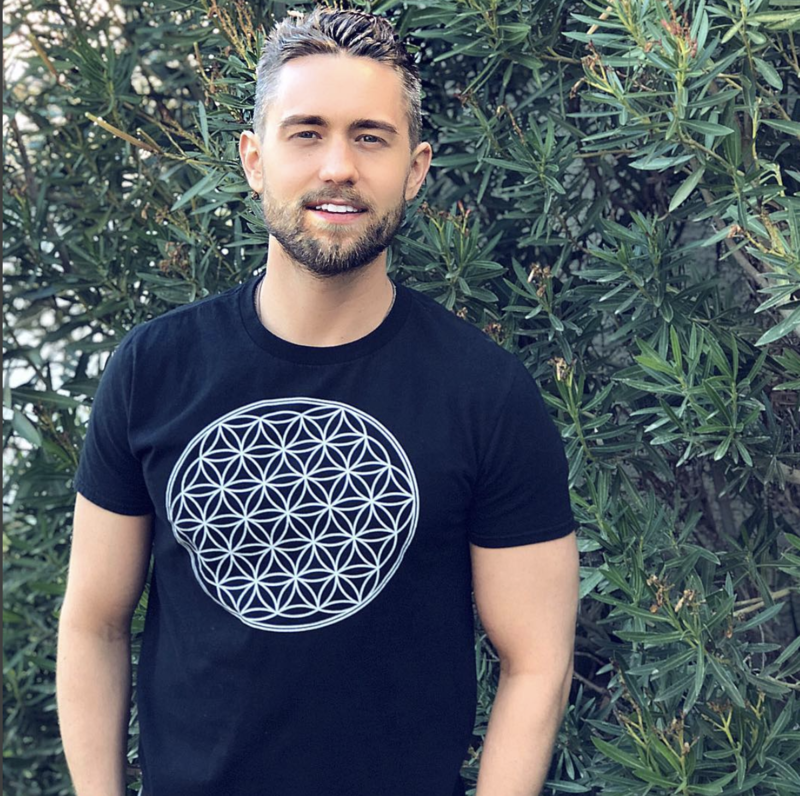 Well, scientifically may be one of their reasons, but the other reason is that there's such a desire to be here right now that there are so many souls that are coming here just to be part of this shift in consciousness happening because never before has it been where we've shifted from a 3D level of consciousness, which is duality. Unity, consciousness. That's what we're shifting into and we're going through that process right now. We can take into the fourth 40, the fourth dimension is time more of a dream-like type state, but in general, that's what we're going through right now and the more aware of it we become, the more we begin to change our lives in a powerful way. This shift in consciousness happening right now is something that you agreed to at a certain level. You might not remember it. You might have lived your whole life without even being aware of it. And that's totally fine, but the more you become aware of it, the more you can see that some of the things in your life may have happened for you to grow from. I look at my past and the painful part of it off, you know, my ex-stepmom who is abusive and all that stuff. It's like a whole story going along with it and yes, it happened. However, it led me to a spiritual awakening, so maybe it happened for me to become spiritually awakened just so that I could help other people become spiritually awakened through sharing the information and sharing to help people say, hey, the reality that you experience is a reflection of what you believe. Now let's go deeper into this. Normally what we think is what we're trying to do is we're trying to get other people to agree with the reality that we have. You may say, well, no, that's not the way the world works. The world works this way, but the truth is, is there is no way the world works. Every truth is but a half-truth. It's a paradox because from one perspective it can be true and from another perspective, it won't be true. It's been from having a vision or a perception or belief and saying that this is the belief for everyone. The truth is, is this is the truth of life right here. Are you ready? Are you ready for the one truth in life? That is true. This is the one truth in life that once you know changes everything. The one truth in life is that all truths are true. All truths are true. Whatever you believe to be true will be reflected back to you, but what that also means is also all truths are not true. It depends upon the perspective, but reality itself is a reflection of what you believe to be true. If you go out into the world and you go, oh, I always attract this type of person, all guys are this way. All the girls are this way. Well, guess what? That's the reality. You will experience, but is it true for you? It is, but for someone else, it won't be true. It's about understanding the power, the power of choice because you are choosing your beliefs. Most people walk around incomplete at the effect of everything that's happening to them. Therefore, they experience the effects of that. You choose your beliefs whether you are aware of it or not. You may say, I didn't choose to believe that scarcity. You know my parents were afraid of money and all of this stuff and all these negative connotations around money. I didn't choose that. What a certain level you did because you chose this life and part of your life is this connection to your higher self and you chose some of these experiences so that you could learn how to transcend it. If you treat everything in your life as if you chose it, your life will begin to transform because you will allow what happens to happen and then you will choose something new if you choose, but that is where the power is, but understand there is no one really other than understanding that we're all connected. There is at a certain level of connection that we all have to each other, so there is this universal unity consciousness. We're moving into the only truth in life. The only real thing that will exist beyond that, of the beliefs of the intellect, is love. Love is the only real truth that exists. The constant, however, some people experience different degrees of it. They may experience a lack of love, which is still love just in a frame or it's being filtered so much that we filled the negative emotion and the same way that there is no darkness switch in your house. There's only a light switch. It's just where it's not in the visible spectrum that we can see there is only light, there was only love, but the degrees of love that we experienced, we might feel ashamed. Fear of guilt, that is just a filter that is only letting a certain amount of love in, but understanding you are always connected and when you become aware of this, you can then see that eventually, you can transcend the need to have all of these beliefs. That scale of consciousness goes from zero to a thousand and what you'll see is when you get up to like 20, 30, that's like shame, guilt. Fear is like a, you know, a little bit further up. Eventually, you get to that have the courage and you get past like shame, fear, guilt, anger. You get up to courage as like around 200 and then you get to neutrality, which is 2:50, which is where you realize that you can observe your thoughts rather than react. Huge step right there. Then eventually you'll see a neutrality. You'll see that of willingness, acceptance, and then at 400, we have reasoning. The reasoning is the intellect, it is the mind. Reasoning is understanding from four to 500, 400 is reasoning, 500 is love, 500 is understanding unconditional love and what happens is a huge shift happens when you move from the $400 into the five hundred is understanding our beliefs create our reality. Everything I'm sharing with you right now is if you want to move fluidly move through your reality and experience what you want. Once you become aware of is the reason you have the beliefs that you have, the intellectual thoughts that you have and understand that those are creating your life experience. However, there is a shift in consciousness you can experience that goes beyond that of just the reasoning like Einstein himself calibrated at four 99, not quite 500 because he was still attached to the intellectual ideas, but he's very close and if he would have dropped all those intellectual ideas and moved it into love, he would have transformed his own consciousness into a higher state. And that is the key to this life, this, this transformation that we're going to on the planet right now. We are going from these intellectual ideas of understanding our beliefs, create our reality, understanding these degrees of separation, these different labels we might have towards each other, and we're dropping those labels to then move into more of a universal level of love of into being, having undoing on the four 99 and below into being have doobie. Understand we can be. We can be in the present moment. We can say yes to the present moment and this is when we begin to transform our consciousness. When you think that you have to go outside and change the mirror of life to them, be happy. You're putting your happiness outside of you. The key is to change instead of the way you relate to whatever's happening on the outside. How do you relate to it? And then to find out why you are relating to it in the way you are. Maybe you want validation from other people. You may say, well, if I can get people's validation, then I can be happy. But the truth is, if you're looking for the validation outside of you and instead give yourself that validation by understanding things are the way they are and the way they may be, the way they are is because maybe you've had this rule in your mind that people had to validate you to be happy. But this is showing you that the validation is not without. It's not from the trying to change the mirror itself. Change the expression on your face in the mirror will change. Give yourself the validation that you seek and other people will validate you if it's the love that you want to find in a relationship. Instead, give yourself that love, and I know this all may be sound easier than it sounds, right? That sounds easy, but it's harder than that. That's a belief. What I am saying is move out of the having and the doing and into being. Be aware of the beliefs you have in that process because if you believe that this is hard, you believe that it can't be that easy, then guess what? That will be your reality. But what I'm asking you to do is to become aware of these beliefs, become aware of these perspectives and shoes to transcendence. You can transcend it by going into being present to the moment and understanding that the intellectual only gets you so far. The intellectual mind will make you aware of what you believe to be true, but even then, people are still too many times are within their own belief systems. Even me, I find myself in my own belief systems, oh, can I go do that? I don't know if I can go to all of those. All those thoughts, all those labels, all those definitions are beliefs. 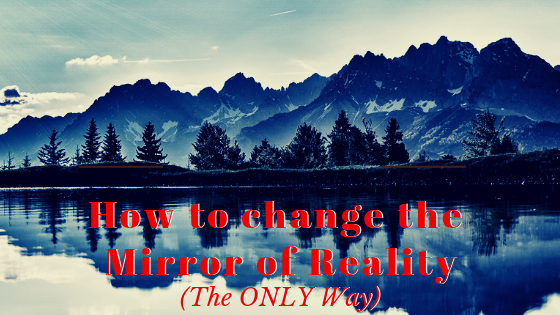 Your beliefs create your reality, but the key is not to go outside of there and try to change their mirror of life. The key is to change how you relate to yourself, to relate to yourself. Someone came to me recently and was talking about how all these things in their life is starting to go wrong and I had to kind of be the person to say go within because they're like, well, this person did this to me. This person did this, meet. This person did this to me. I said it has nothing to do with what this person did to you like nothing to do with any of this stuff that you think it has to do with. Those are all outer manifestations of an inner incompletion or an inner disturbance. If you instead go within yourself and saying, what is this teaching me about myself? Do you have a rule in your life that this rule, this person has to be this way for me to be happy? Or maybe are you just integrating? Is it showing you something about yourself that maybe you aren't integrating your embodying the best version of you? You aren't letting go of these attachments as lower vibrational emotions. You weren't letting go of all this, so, therefore, you're experiencing more and more of the negative emotion and I could see that it started to sink in with this person I was talking to. I kept just all I did was I turned their focus from being out there to in here, your reality is a reflection of what you believe to be true in. The more you become aware of your beliefs is the more you can begin to neutralize them, but you can have a lot of fun. Here. You can have a lot of fun because then you could feel whole and complete. You can change how you relate to life in general. You can drop the rules you have about how people have to be and then your life will change. However, there is a higher level of consciousness that you begin to tap into when you then move into being, move out of having moved out, move out of doing and move it into being, and it might sound easier said than done, but remember, that's just a belief. You can just say yes to the present moment and you will start to embody more of being. Say Yes to the present moment. Know that by saying yes to the present moment, you are allowing the moment to be. You are more so being than having are doing and that in that state of consciousness where everything because it changed because the truth of the matter is you are unconditional love and bliss. That is who you are. Everything else is just something that you can learn from something that you could take from, but understand that right now on the planet, it's about waking up from this 3D level of consciousness, of duality, of good and bad into that have a higher state of consciousness. This higher state of consciousness is considered a fifth-dimensional state of consciousness, which is unity, consciousness, and love. We are transcending into it in this lifetime and that as we go through the next 10, 15, 20 years, however long we're going to be shifting more into that awareness. It's about dropping the mental ideas, dropping the beliefs. Maybe they served. You served for a period of time, but you'll go through different beliefs in your life. You'll outgrow certain beliefs as well, but it's about being aware of what that is and simply deciding that you are going to move from having and doing into being. You are unconditional love and bliss. The more you change, the way you relate to yourself is the more you will change the outer reflection in your life, become at peace with the way everything is, and you will start to see things change. The more you change, the more you will change the outer reflection of yourself. If you become okay with everything, everything will become okay, so hope you enjoyed today's episode. If you could do me a favor if you could review this podcast, let me know what you think of today's episode or review this podcast in general. That would be amazing. You just go to the iTunes page and you could see the option to review it. That would be awesome. Still a newer podcast, so it's cool to see.